有關以下物品的詳細資料： WILE. E. COYOTE ~ Loony Tunes Cartoon~ TNT Quality Iron On Patch Badge. WILE. 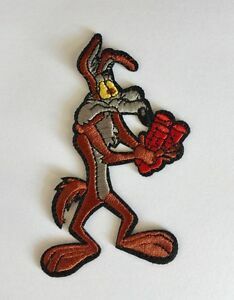 E. COYOTE ~ Loony Tunes Cartoon~ TNT Quality Iron On Patch Badge.